Guess what comes out on 11.11.11? The very last Harry Potter movie. sigh. The end of an era. Oh the cuteness. And I just love the little details. Ron's broken wand. Harry's scar. Hermione's wild curls. Happy Harry Potter and the Deathly Hallows Part 2 release week! What a mouthful. Oh man. I know so many people who would love this! I love this!! I think the broken wand is my favorite detail. 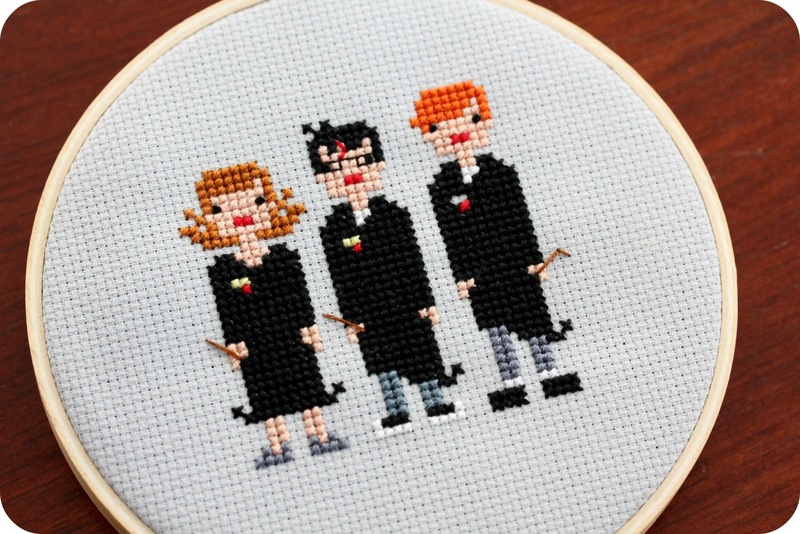 I just checked out weelittlestitches shop and I'm in LOVE with about 5 patterns there. Definitely going on my wishlist!! Great work! I love Harry Potter and I have wanted to make a cross-stitch immortalizing my favorite wizards for a while now, but I just haven't had the time! You are doing a great job with this piece!